"Tomato salesman" Carlos Marcello who has been linked by some to the assassination of President John F. Kennedy handled much of his business from offices at the one-hundred unit Town and Country Motel (1225 Airline Highway) which he owned in 1965 when this postcard was mailed. 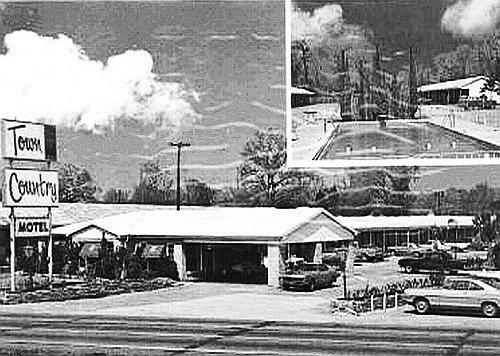 Just down the road, the Tulane Motel (1325 Airline) owned by Hosea Lafleur offered “A Home Away From Home” with 50 modern rooms and suites, steam heat, free continental breakfast, an adjacent restaurant, and sight seeing tours. The Chestmar (1395 Airline), just past Beresford Drive, was the last of the motels that are now gone but whose property has become the high-end Metairie Club Estate subdivision.